Having a car accident can be a stressful time. Hopefully no-one was seriously hurt. Now you have a big decision to make. Your car needs to be repaired. You need to arrange for a rental and deal with the insurance companies. The good news is that M&R Autobody is just around the corner and we can deal with all of those worries for you. We can arrange for your rental car. 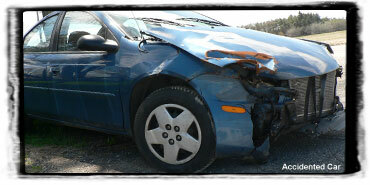 Deal with the insurance company directly and then repair your vehicle, usually within a week. It’s really that easy! If at any time you have questions or concerns, we’re here to help. M&R Autobody is a local Port Perry area auto body shop. We service Whitby, Ajax, Oshawa, Uxbridge and the whole Durham and GTA area. Being involved in a car accedent - or having to fix your car after a collision, is work that should be left for trusted professionals. M&R Autobody has been services Port Perry and Manchester for over 30 years. Daren Jones and Martin Jones are people you can call after a car accedent. For more information on M&R Autobody contact us at 905-985-8592.